Velvet is a luxurious fabric that needs extra care to keep it looking beautiful. When velvet is woven, extra fibers are added to the weave. They are then clipped, which creates velvet’s texture and height, called “pile.” Never iron velvet using traditional ironing methods to remove wrinkles. Velvet should be steamed. If you don’t have a portable steamer, you can use an iron as a steamer. Use a portable steamer. Hang the garment on the hanger. Use the steamer’s lowest heat setting. Without touching the garment, run the steamer over the fabric, starting at the bottom and working your way up to the top while pulling lightly on the hem of the garment. Steam the garment with an iron by first hanging the garment on a hanger. 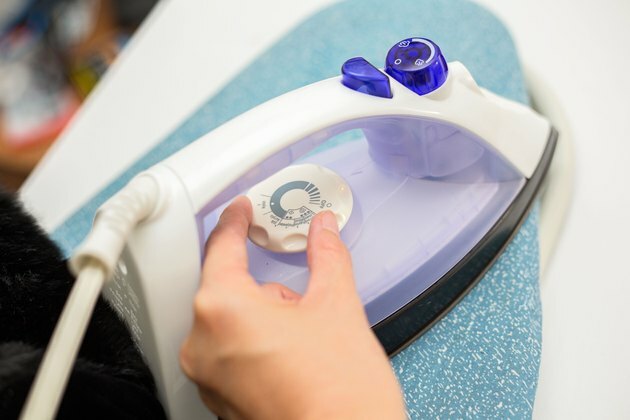 Set your iron on the coolest setting at which it produces steam. 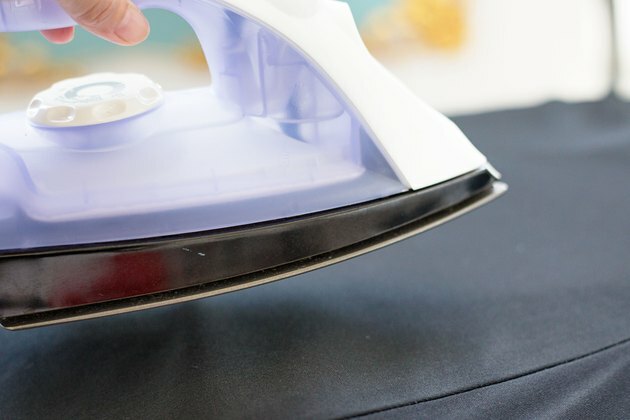 Hold the iron an inch or so away from the velvet garment and steam the wrinkles out in the same motion as if you are using a steamer, without actually touching the velvet garment. Steam the velvet in the bathroom by hanging the garment on a shower rod or the back of the bathroom door. With the door closed, fill the tub with hot water. Keep the door closed for about 30 minutes and the steam will relax the wrinkles. Press the garment with an iron using a velvet needle board. A needle board is a board with tiny stainless steel pins a fraction of an inch high. The pins burrow into the pile of the velvet and prevent it from becoming crushed when ironed. Lay garment with the right side on the needle board and iron on the wrong side. Use the lowest setting on the iron that will produce steam. Barely touch the fabric, letting the steam do most of the work. Press your velvet garment using another piece of velvet, pile to pile. 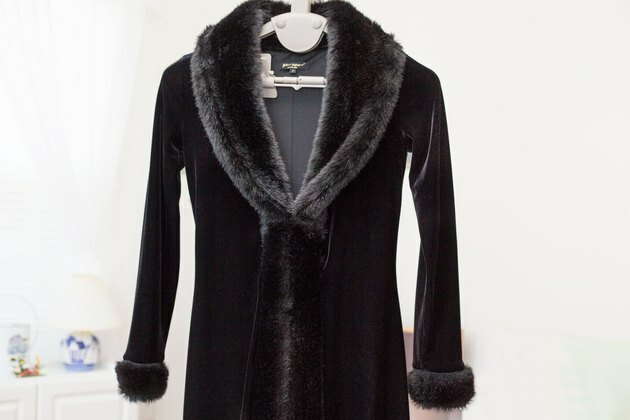 Use a scrap piece of velvet with the same pile depth as your garment. Place the scrap velvet right side up on an ironing board. Lay your velvet garment on top, so the two are pile to pile. Press with iron set to the coolest steam setting, barely touching the garment. Press the velvet on a towel following the same method as when using another piece of velvet. Because the towel doesn’t have pile as high as velvet has, keep the iron a fraction of an inch above the garment, without actually touching it. Let the steam do most of the work. Again, set the iron to the coolest setting that produces steam. Pressing velvet is tricky. Be careful not to crush the pile; it will never recover.